The grasp of neuroanatomy, maybe more than in other organ systems, is closely related to function, neurophysiology and neuro-biochemistry. Its understanding requires a working knowledge of the pivotal neuro-embryological events as well as a working knowledge of general anatomy. For these reasons, it remains one of the greatest challenges, both for the aspiring student and for the dedicated mentor in the medical field. The span of books used as references in teaching neuroanatomy is either too detailed or too simplistic in their attempt to balance the time constraints against the key points for each subject. In addition, since the field of neuroscience is currently at the forefront of research, many of the textbooks that are available are written by researchers rather than clinicians, and as a result they tend to suffer a lack of clinical focus. 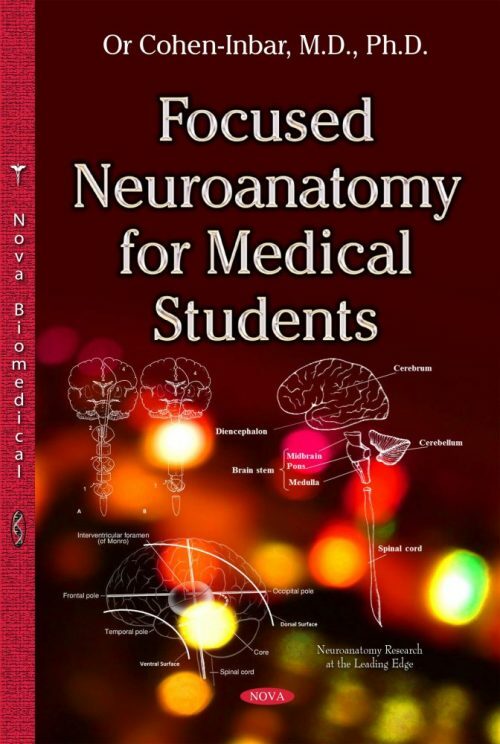 This book, written by a tutor of neuroanatomy and a practicing neurosurgeon, attempts to offer a better balance and a more useful formula. This book is composed for the medical student, relying on comments from past medical students. The book begins with an introduction chapter which discusses the organization of the nervous system, anatomical planes, introduction to neuro-embryology, as well as relevant scalp and skull anatomy. The next succeeding six chapters discuss the central nervous system regionally. Each chapter begins with the key embryological processes that shape the anatomy and function of that region. The gross anatomical description is followed by a short discussion of microscopic anatomy, gray and white matter anatomical features, major connections and key clinical correlations. The next three chapters tackle specific problematic topics separately.